Product categories of Wet Electrostatic Precipitator, we are specialized manufacturers from China, Wet Electrostatic Precipitator, Restaurant Wet Electrostatic Precipitator suppliers/factory, wholesale high-quality products of Kitchen Wet Electrostatic Precipitator R & D and manufacturing, we have the perfect after-sales service and technical support. Look forward to your cooperation! 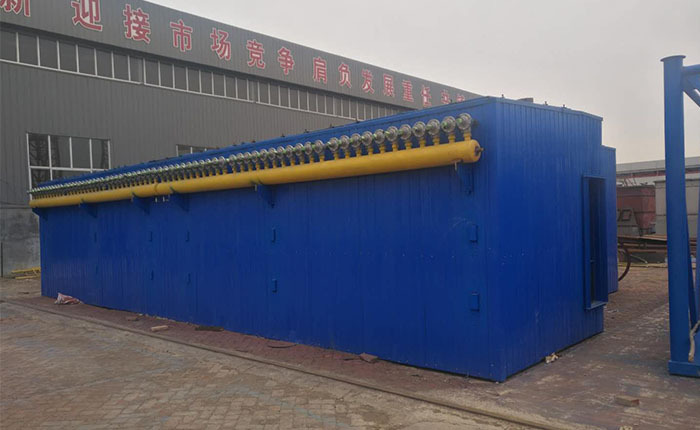 Wet Electrostatic Precipitator uses electrostatic forces to remove particulate. It is used to treat gas streams with sub-micron particulate, aerosols, or fumes. These can include heavy metals such as lead, arsenic, or cadmium, condensed acid aerosols like sulfur trioxide (SO3), or condensed volatile organic compounds (VOC`s). The use of electrostatic forces minimizes energy costs compared to Venturi scrubbers or baghouses, which require large amounts of energy to overcome resistance to air flow. Wet electrostatic precipitators are used in a wide range of applications including, hazardous and medical waste incinerators, metals refining, sulfite pulp mill recovery boilers, copper roasters, sulfuric acid plants, and wood dryers including oriented strand board (OSB), medium density fiber board (MDF), or pellet mill dryers. Particle collection occurs in a collector section which consists of an array of grounded tubes and high voltage discharge electrodes. A high voltage is applied to the discharge electrodes to both charge the particles and provide a high voltage field. The voltage on the discharge electrodes creates a corona discharge of electrons from high intensity ionization disks on the electrodes. This geometry concentrates the charging field in the zone between the disc and the collection tube. This disk-in-tube geometry allows for the formation of a stable, intense, electrostatic field for particle charging. As the electrons move from the discharge disk to the collector tube, some of them intercept particles in the gas stream which charges the particles. Once the particles are charged they move across the gas stream by the high voltage field where they deposit on the grounded collector tube. The particles are then intermittently flushed from the collector tube with a stream of water.